How to plan learning opportunities that engage and interest children. This title is part of a brand new series, edited by Jennie Lindon, which takes a fresh approach to planning by ensuring that childrens interests are at the heart of all plans. 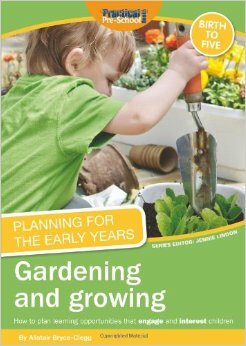 Planning for the Early Years: Gardening and Growing is packed with adaptable ideas that can be extended for older children, or more focussed for the under threes. It focuses on the prime areas of learning, especially the development of early language, defined in the 2011 Tickell review of the EYFS as the foundations for all learning. This title will allow you to: plan for childrens individual stages of development through the use of adaptable and inclusive plans, and plans specifically for the 0-3s, engage and motivate children to learn by planning around their interests and include children with English as an Additional Language and Special Educational Needs through plans that take into consideration a variety of abilities. Activities and ideas include: garden treasures and sound; growing and eating; learning about textures.